With so many marketing options these days, it’s hard to stay focused on what works. While small business owners have always taken advantage of their small, scrappy ways, today it’s a must just to keep any sense of momentum going. 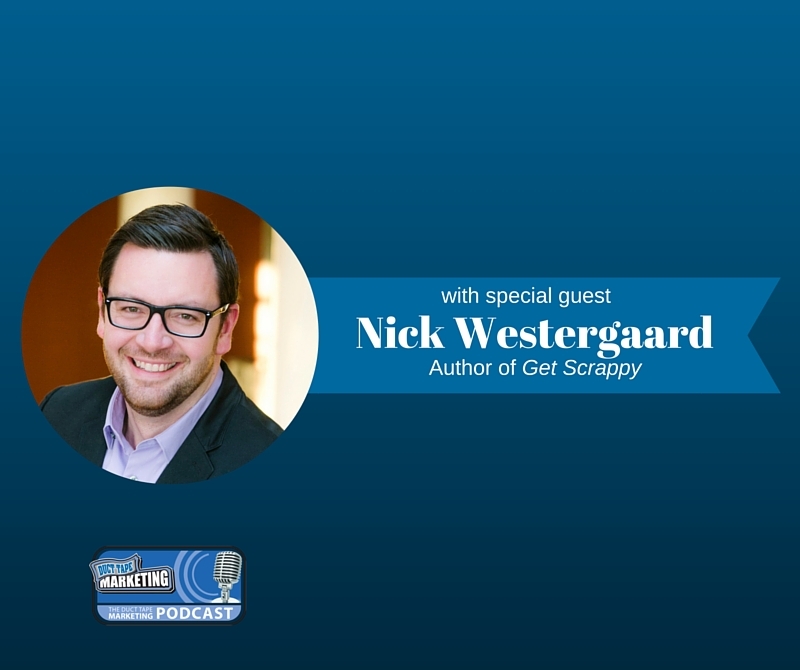 My guest for this week’s episode of the Duct Tape Marketing Podcast is Nick Westergaard, a strategist, speaker and educator, Chief Brand Strategist at Brand Driven Digital, and author of the new book Get Scrappy: Smart Digital Marketing for Businesses Big and Small. We talk about digital marketing and getting the most bang for your buck with your marketing tactics. Westergaard has always taken a very practical approach to the sometimes wild world of branding and for that, I’m a fan. What do you mean by getting “scrappy” with your marketing? How do you balance experimenting with new channels without taking on too much? How do you find what matters and measure it? Why you should avoid the channel mindset. Why you should view content as the voice of strategy. When you should or shouldn’t jump on to a new content channel. If you want to find out more about Nick, visit nickwestergaard.com.